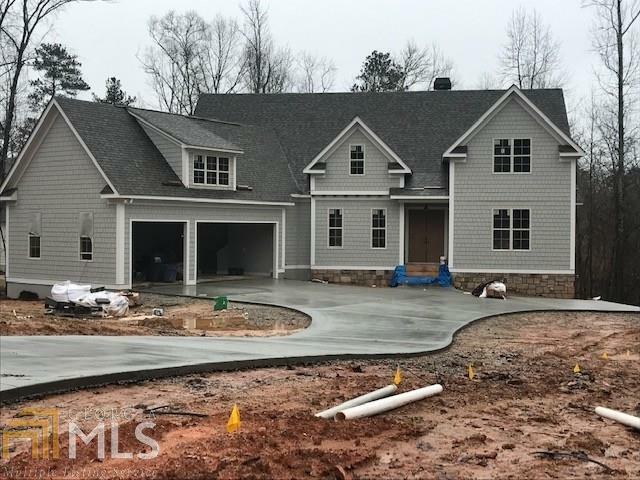 Lakefront custom plan with basement by Simply Southern Traditional Homes. Master on main. 10&apos; ceilings throughout the main floor. Foam insulation in attic. Large kitchen with huge island, 36" stainless steel Verona gas range, double ovens and Bosch dishwasher. Custom trim work throughout. Vaulted covered porch with cedar posts. Fabulous lake views. 3 car garage. Rinnai Tankless Water Heater. The Canoe Club amenities include: tennis, pool, 24 hour fitness center and 2 lakes for fishing, kayaking and canoeing. Directions: Take Hwy 85-S To Exit 61. Left On Hwy 74. Travel 7 Mi. Turn Left Onto Hwy 54. Continue For Approx 6.5mi. Turn Right Onto Huiet Drive. Silverlake Way On Left.